Have you ever wondered why sauna bathing feels so good? Or why its supposedly so healthy? As a child, I didnt like the steamy, hot air and couldnt fathom what adults enjoyed about taking a sauna. Today, Id love to have one at home, especially in winter. Viewpoints change. The word sauna is of Finnish origin, apparently the only Finnish word that made it into the English language. Merriam-Webster defines it as: A Finnish steam bath in which the steam is provided by water thrown on hot stones; also : a bathhouse or room used for such a bath. The recommended temperature is 80  100 °C (176 -212 °F) at face level and 30 °C at floor level. The air has a relative humidity of 10-20% (Hannuksela & Ellahham 2001). A usual sauna bath consists of several short stays between 5 and 20 minutes, interspersed with cooling-off periods, and followed by adequate fluid intake. In Finland, sauna bathing follows a long tradition of thousands of years (Hannuksela & Ellahham 2001), as reflected by an estimated two million (often private) saunas among a population of about 5.2 million people (Kenttaemis & Karkola 2008). Hot steam bathing is not exclusive to Finland and Skandinavia, however, but an old practice of different cultures around the world. Known as sweat lodge in North America, as temazcal in South America, as banya in Russia, and as oukup in Indonesia, among many others, the concept is the same, although methods may differ in humidity levels, heat generation, and purpose. The cleansing effects of sweating has been used in hygiene rituals since ancient times and later in medicine of the Persians, Romans, and Greeks since the 8th century BC (Kowatzki et al. 2008). So while sauna bathing is an old, traditional practice the world over for cleansing and rejuvenating the body, what does current science say about its health benefits? How often should we enjoy a sauna? Whats the best practice, and are there pitfalls to avoid while sauna bathing? Lets take a look. Within a few minutes, skin temperature rises up to 40°C, and sweating sets in fairly quickly. We lose up to 0.5 l of sweat during a typical sauna bath (Hannuksela & Ellahham 2001). Skin blood flow, heart rate, and cardiac output increase, whereas blood flow to internal organs and muscles decreases. Blood pressure may remain unchanged, increase, or decrease (Hannuksela & Ellahham 2001). Despite these acute, transient cardiovascular changes, most healthy people, including children, tolerate sauna well, as do most patients with hypertension, stable angina pectoris, coronary heart disease, or prior myocardial infarction (Hannuksela & Ellahham 2001, Roine et al. 1992). In fact, regular sauna bathing twice a week lowers the blood pressure in patients with hypertension (Laukkanen et al. 2015, Nguyen et al. 2005). Despite a very small fraction of the population dying during sauna (Rodhe & Eriksson 2008), the risks of myocardial infarction, coronary death, and sudden death are lower during sauna bathing than during other daily activities (Hannuksela & Ellahham 2001), and a recent prospective study in male sauna bathers found that long, hot sauna baths were associated with fewer deaths from heart attacks, strokes, various heart-related conditions, and other causes (van der Wall 2015). This is also echoed by Basford et al. (2009), who stated that the question arises whether this prohibition on sauna bathing is overly restrictive. It may be that not only are safety concerns needlessly limiting the activities of people with CHF [chronic heart failure], but also that excessive caution is preventing the use of a potentially beneficial modality. This study suggests that systemic sauna bathing at moderate temperatures may be safe and well tolerated by people with CHF. Two previous papers arrived at the same conclusion, saying that repeated sauna use not only improved cardiac function and clinical symptoms in chronic heart failure patients (Kihara et al. 2002), but also increased their sense of wellbeing and exercise tolerance (Miyamoto et al. 2005). Note that saunas used in these latter studies were modified to 60°C. Along similar lines, Gayda et al. (2012) reported that even a single Finnish sauna bath induces changes in the autonomic control of the cardiovascular system in patients with untreated high blood pressure, as evidenced by increased sympathetic and decreased parasympathetic drive. It would be interesting to see how regular sauna use would pan out for these patients, as long-term sauna bathing has been shown to lower blood pressure and enhance left ventricular and endothelial function in men (Lim 2015). Sauna bathing decreases lung congestion and improves lung function (Hannuksela & Ellahham 2001). People with chronic bronchitis and asthma reported improved breathing. Regular sauna bathing causes no harm to the skin and may benefit people with psoriasis (Hannuksela & Ellahham 2001). Sweating also allows the body to eliminate heavy metals like nickel, copper, mercury, aluminium, and chromium, among other toxins (Cecchini & LoPresti 2007, Hohnadel et al. 1973). Sauna does not cause drying of the skin (Hannuksela & Ellahham 2001) and renders it soft and smooth. People who enjoy sauna regularly adapt to this by downregulating their ionic excretion through urine and sweat, thereby retaining more salts compared to irregular sauna bathers, pointing to a training effect in sweat production (Kowatzki et al. 2008). People with acne may benefit from sauna bathing, as regular sauna decreases facial sebum levels, a major contributing factor to the presence of acne. Future studies will also address the potentially positive effect of sauna in atopic dermatitis patients (Kowatzki et al. 2008). All up, research suggests that regular sauna bathing exerts a protective effect on epidermal functions, a stimulating effect on skin blood circulation, and no negative effects on skin hydration. Regular sauna use might indeed be beneficial for dry skin conditions (Kowatzki et al. 2008). Sauna bathing does not influence fertility (Hannuksela & Ellahham 2001). Generally, sauna poses no threat to healthy pregnant women. However, women experiencing pregnancy complications should discontinue sauna bathing (Hannuksela & Ellahham 2001). Sauna seems to decrease incidence of the common cold, but not to significantly affect duration and severity once contracted (Ernst et al. 1990). It also seems to take some time (c. three months) for regular sauna bathing to extend a cold-preventive effect (Ernst et al. 1990). Great news for people suffering from regular headaches! Sauna may be part of your solution: a recent New Zealand study found participants experienced relief from chronic tension-type headaches after adhering to an eight week sauna regimen, bathing three times a week for 20 minutes. Headache intensity decreased by 44%, approximating or exceeding the success of medications and other treatment methods (acupuncture & physical therapy). This positive effect registered six weeks into the intervention. The authors concluded: These results show that regular sauna bathing may provide a promising non-pharmaceutical, self-directed management option that requires minimal medical input (Kanji et al. 2015). Pilch et al. (2013) found that a sauna bath induces higher thermal stress in untrained subjects compared to athletes, who exhibit a more efficient transport of heat, earlier onset and higher intensity of sweating. People who habitually sweat (e.g. eager sauna bathers, athletes, people working in hot environments) should consider replenishing trace elements, as frequent sweating may lead to their loss and a possible deficiency (Hoshi et al. 2001). Athletes also show a stronger response in their immune system to the heat stress induced by sauna: their white blood cell (neutrophil, basophil, lymphocyte, monocyte) counts increase. Observed changes in the white blood cell profile suggest a faster mobilization of cells in the first line of immune defence in athletes compared to untrained people after a sauna bathing session. Thus, sauna bathing could be recommended for athletes as a means of enhancing immunological defence (Pilch et al. 2013). Sauna may also be useful for recovery from athletic performance: Lee et al. (2012) found that both full immersion bath and mist sauna (at 40°C) induced recovery from muscle fatigue. Endurance performance of sub-elite runners also increased after three weeks of post-training sauna bathing (Scoon et al. 2007). And Stanley et al. (2015) add that post-exercise sauna bathing may offer a time efficient means by which to stimulate heat acclimation in athletes required to adjust to different climate zones. Sauna may alleviate pain and improve joint mobility in people suffering from rheumatoid disease. Patients with chronic neuropathic pain also reported pain relief (Hannuksela & Ellahham 2001). Despite the popular and persistent belief that sauna bathing (heat & sweating) enhances wound swelling and may predispose to postoperative bleeding, thus negatively affecting wound healing, scientific evidence for this is apparently lacking (Papp & Alhava 2003). As a rule of thumb, patients who can return home within three days of surgery can likely enjoy sauna bathing with sutures. This includes small traumatic wounds, wounds after excisions for cutaneus of subcutaneus lesions, scar revisions, and all other wounds where late postoperative swelling is unlikely (Papp & Alhava 2003). Iiyama et al. (2008) found that cerebral palsy patients not only enjoyed sauna, but also benefited from it, as they showed improved peripheral circulation during and after sauna. Theirs was an adjusted regimen of 15 minutes at 60°C (dry infrared sauna). During short-term heat exposure, as experienced through sauna bathing, the fall in liver blood flow is probably too small to change liver clearance of drugs. Vanakoski and colleagues reviewed the effects of heat exposure on the pharmacokinetics of drugs: absorption, distribution, and elimination of orally administered drugs turned out minor in studies with propranolol, captopril, midazolam, ephedrine, and tetracycline (Hannuksela & Ellahham 2001, Vanakoski et al. 1995 & 1996). However, increased skin blood flow during sauna enhanced the systemic absorption of nitroglycerin and nicotine applied to the skin. The absorption of subcutaneously administered rapid-acting soluble insulin improved in men with insulin-dependent diabetes, whereas the absorption of intermediate-acting amorphous insulin remained unchanged during sauna bathing (Hannuksela & Ellahham 2001). In Finland, children typically enjoy a sauna once per week with their parents, who adjust conditions accordingly. Bathing time is usually shorter than for adults (5 to 10 mins), and they use the lower benches with less heat exposure (Hannuksela & Ellahham 2001). Studies showed that healthy childrens physiology responds similar to adults, with the exception of small childrens (aged 2 to 5) ability to maintain heart stroke volume, which was impaired. Heat stress may be risky for children with heart conditions (Hannuksela & Ellahham 2001). This regimen consists of exercise, sauna bathing, and supplementation with vitamins and minerals. Its aim is to detoxify the body and restore body function by ridding tissues off their stored toxic loads. It eliminates a broad range of chemicals and thus addresses adverse health effects resultant from chemical exposure and their subsequent accumulation in tissues. People generally report decreasing severity of symptoms after finishing the sauna regimen. The Hubbard methods safety and effectiveness has been established for more than 20 years. For example, it successfully helped reduce toxic loads of PCB (electrical insulation material, now discontinued) and PBB (toxic flame retardant, still in use) by up to 65% in study populations who experienced a five or ten year exposure prior to detoxification. Firefighters exposed to burning PCB showed impaired memory and cognitive functions at six months following the event. Their symptoms improved through the Hubbard method. Use of the Hubbard regimen to address adverse health effects following the Chernobyl incident also provides evidence that the program revitalizes the immune system and improves the general physical condition of participants. The Hubbard method has been adopted as part of the Narconon Drug Rehabilitation Program (a drug-free approach) and it has been delivered to >21.000 people to aid with cravings and protracted withdrawal symptoms stemming from addictions. Preliminary data indicate the ability of this method to eliminate cocaine and valium metabolites in sweat and urine of recovering addicts for up to five weeks following the start of sauna treatment. There has been long standing concern about heat exposure for those affected by heart problems (van der Wall 2015). However, current literature ascertains that sauna bathing poses little risk for most people of all ages, including most heart patients (Kenttaemis & Karkola 2008, Nguyen et al. 2005). The annual incidence of sauna deaths in Sweden was 0.6/ million inhabitants/ year between 1993  2002. With respect to the frequency of saunas and sauna bathing, death in the sauna or its vicinity is rare in Finland, with fewer than 2 per 100.000 inhabitants per year (Kenttaemis & Karkola 2008). In the majority of these cases, alcohol was also involved. So your chances of dying from sauna are slim at best. The general rule of thumb is: if a person can walk into a sauna, he or she can walk out of it (van der Wall 2015). That all said, if you suffer from severe aortic stenosis, unstable angina pectoris, orthostatic hypotension, or have had a recent heart attack, refrain from sauna bathing and check back with your specialist before proceeding. Using dry sauna (infrared) or bathing at lower temperatures, e.g. 60°C, may constitute alternative options in these cases. While normal pregnancy poses no hindrance to sauna bathing, women experiencing complications should err on the safe side and discontinue sauna (Laukkanen et al. 2015, Rodhe & Eriksson 2008, Hannuksela & Ellahham 2001). Heat stress may be risky for children with heart conditions (Hannuksela & Ellahham 2001) and people on beta-blockers and nitrates, or intoxicated with alcohol (Nguyen et al. 2005). Alcohol and sauna do not combine very well. Drinking alcohol before or while sauna bathing may cause serious health problems, especially in people with heart disease: increased risk of hypotention and fainting, arrhythmia, sudden and hyperthermia death (Kenttaemis & Karkola 2008, Rhode & Eriksson 2008, Hannuksela & Ellahham 2001), even though Roine et al. (1992) reported no arrhythmia caused by alcohol intoxication in healthy men aged 24  40 years. Still, mixing alcohol and sauna bathing is not recommended. While regular sauna bathing may reduce the incidence of acute respiratory infections, sauna should be avoided during the acute phase of an infection (Hannuksela & Ellahham 2001), for your and others sake. How often should we enjoy sauna bathing? Good question. I think the answer is as much as you like, there doesnt seem to be a hard and fast rule. Doing what feels good seems a good one to heed. That said, the Finnish Kuopio Ischemic Heart Disease Risk Factor Study by Laukkanen et al. (2015) examined and followed 2315 middle-aged men for about 20 years, finding that those who enjoyed a sauna two or three times a week had a 23% lower risk of experiencing a fatal episode of coronary heart disease or cardiovascular disease, compared with those taking just one sauna a week. Those benefits increased with even greater sauna use of four to seven times a week: these men lowered their risk of similar incidents by 48%, compared to those enjoying sauna only once per week. There is a saying that sauna is a poor mans pharmacy. It can relieve pain and stiffness of joints and improve breathing in chronic obstructive lung diseases (Kenttaemis & Karkola 2008). It contributes to more effective rehabilitation after injuries and brings relief in pain syndromes. Sauna sessions are recommended not only for relaxation and recovery but also for patients with certain dysfunctions of the respiratory system, chronic rheumatic disorders, degenerative joint diseases and arterial hypertension. 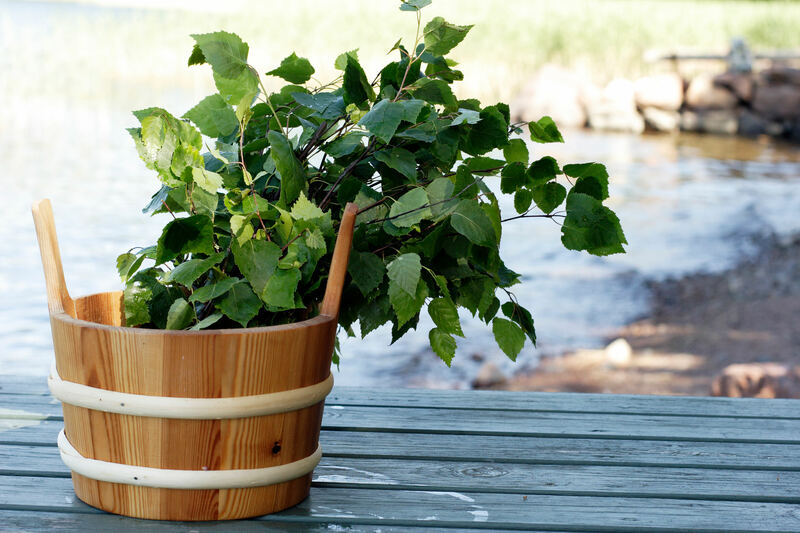 Finnish sauna sessions promote a response from endocrine glands and stimulate the immune system. It has been documented that hot-cold bathing reduces susceptibility to colds and prevents infections in healthy people (Pilch et al. 2013). After following up with their subjects for c. 20 years on average and finding that increased frequency of sauna bathing is associated with a reduced risk of sudden cardiac death, fatal coronary heart disease, fatal cardiovascular disease, and all-cause mortality, researchers concluded that sauna bathing is a recommendable health habit (Laukkanen et al. 2015). Apart from all the physiological benefits, enjoying spare time this way with family or friends may well be another important contributing factor for why sauna is so beneficial. It simply relaxes, feels good, and allows for a pleasant chat  all factors conducive to wellbeing. Either way, to say it with the researchers: Time spent in the sauna is time well spent (Redberg 2015). Enjoy your next sauna bath! Basford JR, Oh JK, Allison TG, Sheffield CG et al. 2009. Safety, Acceptance, and Physiologic Effects of Sauna Bathing in People With Chronic Heart Failure: A Pilot Report. Arch Phys Med Rehabil Vol 90, January 2009. Cecchini M and V LoPresti. 2007. Drug residues store in the body following cessation of use impacts on neuroendocrine balance and behavioruse of the Hubbard sauna regimen to remove toxins and restore health. Medical Hypotheses (2007) 68, 868879. Ernst E, Pecho E, Wirz P and T Saradeth. 1990. Regular Sauna Bathing and the Incidence of Common Colds. Annals of Medicine 22: 225-7, 1990. Gayda M, Bosquet L, Paillard F, Garzon M et al. 2012. Effects of sauna alone versus postexercise sauna baths on short-term heart rate variability in patients with untreated hypertension. Journal of Cardiopulmonary Rehabilitation and Prevention 2012;32:147-154. Gryka D, Pilch W, Szarek M, Zygula Z, and L Tota. 2014. The effects of sauna bathing on lipid profile in young, physically active, male subjects. International Journal of Occupational Medicine and Environmental Health 2014;27(4):608  618. Hannuksela ML and S Ellaham. 2001. Benefits and Risks of Sauna Bathing. Am J Med. 2001;110:118 126. Hohnadel DC, Sunderman Jr FW, Nechay MW and MD McNeely. 1973. Atomic absorption spectrometry of nickel, copper, zinc, and lead in sweat collected from healthy subjects during sauna bathing. Clin. Chem. 19/11. 1288-1292 (1973). Hoshi A, Watanabe H, Kobayashi M Chiba M et al. 2001. Concentrations of Trace Elements in Sweat during Sauna Bathing. Tohoku J. Exp. Med. 2001 (195) 163-169. Iiyama J, Matsushita K, Tanaka N and K Kawahira. 2008. Effects of single low-temperature sauna bathing in patients with severe motor and intellectual disabilities. Int J Biometeorol (2008) 52:431-437. Imai Y, Nobuoka S, Nagashima J, Awaya T et al. 1998. Acute myocardial infarction induced by alternating exposure to heat in a sauna and rapid cooling in cold water. Cardiology 1998; 90:299-301. Kanji G, Weatherall M, Peter R, Purdie G and R Page. Efficacy of Regular Sauna Bathing for Chronic Tension-Type Headache: A Randomized Controlled Study. 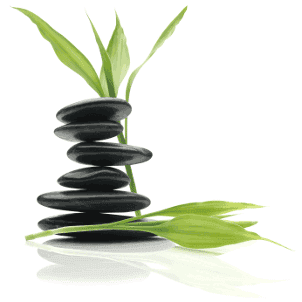 The Journal of Alternative and Complementary Medicine Volume 21, Number 2, 2015, pp. 103109. Kenttamies A and K Karkola. 2008. Death in Sauna. J Forensic Sci, May 2008, Vol. 53, No. 3. Kihara T, Biro S, Imamura M, Yoshifuku S et al. 2002. Repeated sauna treatment improves vascular endothelial and cardiac function in patients with chronic heart failure. J Am Coll Cardiol 2002;39:754 9. Kowatzki, D, Macholdt C, Krull K, Schmidt D et al. 2008. Effect of regular sauna on epidermal barrier function and stratum corneum water-holding capacity in vivo in humans a controlled study. Dermatology 2008;217:173180. Laukkanen T, Khan H, Zaccardi F and JA Laukkanen. 2015. Association Between Sauna Bathing and Fatal Cardiovascular and All-Cause Mortality Events. Published Online: February 23, 2015. doi:10.1001/jamainternmed.2014.8187. Lee S, Ishibashi S, Shimomura Y and T Katsuura. 2012. Physiological functions of the effects of the different bathing method on recovery from local muscle fatigue. Journal of Physiological Anthropology 2012, 31:26. Lim GB. 2015. Sauna bathing associated with reduced cardiovascular mortality. Nature Reviews Cardiology 12, 257 (2015). Miyamoto H, Kai H, Nakaura H, Osada K et al. 2005. Safety and Efficacy of Repeated Sauna Bathing in Patients With Chronic Systolic Heart Failure: A Preliminary Report. Journal of Cardiac Failure Vol. 11 (6) 2005. Nguen Y, Naseer N and WH Frishman. 2005. Sauna as a Therapeutic Option for Cardiovasclar Disease. Chapter 21 in the book Complementary and Integrative Therapies for Cardiovascular Disease. Papp AA and EM Alhava. 2003. Sauna-bathing with sutures. A prospective and randomised study. Scandinavian Journal of Surgery 92: 175177, 2003. Pilch W, Pokora I, Szygula Z, Palka T, et al. 2013. Effect of a single Finnish sauna session on white blood cell profile and cortisol levels in athletes and non-athletes. Journal of Human Kinetics volume 39/2013, 127-135. Redberg L. 2015. Health Benefits of Sauna Bathing. Editors Note. JAMA Internal Medicine April 2015 Volume 175, Number 4. Rodhe A and A Eriksson. 2008. Sauna Deaths in Sweden, 19922003. The American Journal of Forensic Medicine and Pathology  Volume 29, Number 1, March 2008. Scoon GSM, Hopkins WG, Mayhew S and JD Cotter. 2007. Effect of post-exercise sauna bathing on the endurance performance of competitive male runners. Journal of Science and Medicine in Sport (2007) 10, 259262. Stanley J, Halliday A, DAuria S, Buchheit M and AS Leicht. 2015. Effect of sauna-based heat acclimation on plasma volume and heart rate variability. Eur J Appl Physiol (2015) 115:785794. van der Wall EE. 2015. 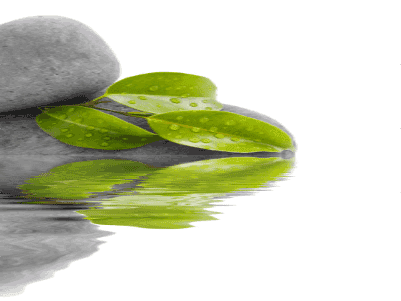 Sauna bathing: a warm heart proves beneficial. Neth Heart J (2015) 23:247248. Vanakoski J and T Seppala. 1995. Effects of a Finnish sauna on the pharmacokinetics and haemodynamic actions of propranolol and captopril in healthy volunteers. Eur J Clin Pharmacol (1995) 48:133-137. Vanakoski J, Idanpaan-Heikkila and T Seppala. 1996. Exposure to high environmental temperature in the sauna does not change plasma indocyanine green (ICG) clearance in healthy subjects. Pharmacology & Toxicology 1996 (78) 94-98. Discover Frantsila sauna products here. 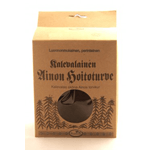 Unique Finnish sauna products for deep cleansing and relaxing moments. Relaxing and calming effect. 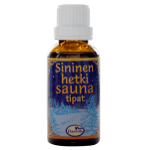 Genuine essential oil mixture for sauna : frankincense, rosemary, pine and myrrh. 100% genuine Finnish moss and sedge peat treatment mixture. Ideal for sauna treatments. Frantsila Organics soaps and shampoos. Refreshing sensations, mild and natural fragrances.